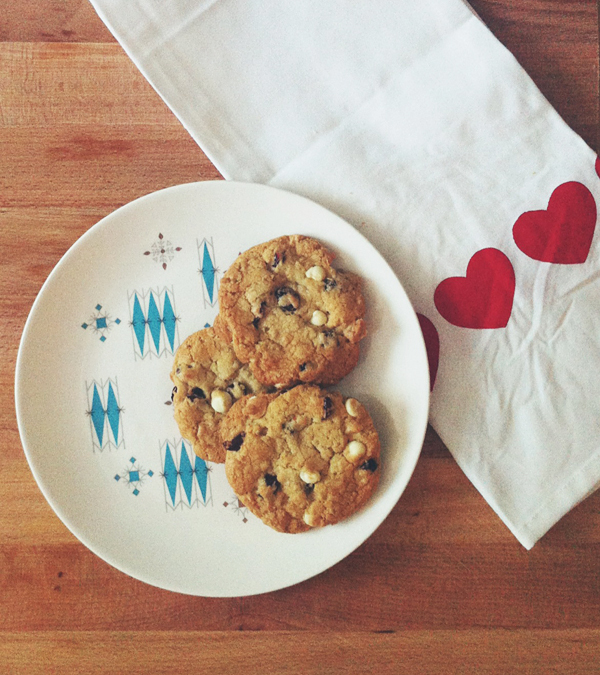 Oh So Lovely Vintage: Cranberry white chocolate cookies. I don't know about you guys, but I have been spending a lot of time in my kitchen this month. Actually I have been spending a lot of time at home in general. Maybe it's the cold weather that is forcing me to hibernate, but either way I kind of like it! Especially the fact that I have had the chance to test out some recipes that I've been meaning to try! The other day my good friend, Sigrid, came over and brought me the most delicious cookies that I instantly needed the recipe for. They are cranberry white chocolate chip cookies and they are absolutely to die for! 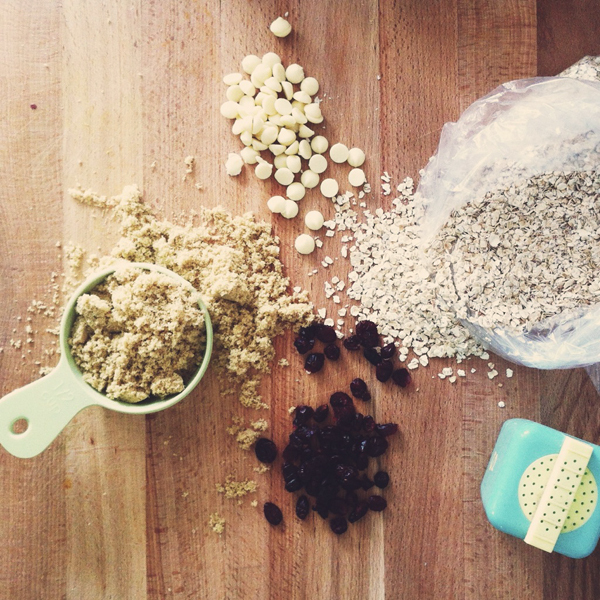 Next time you have the urge to bake something, give this recipe a try. It's simple and it seriously won't disappoint. Drop by heaping spoonfuls, about 2 tablespoons, onto the prepared baking sheets, 2 inches apart. Bake one sheet a time for 12-15 minutes or until lightly golden. Let cool then enjoy! Mmm! Yum! I love the combination of white chocolate and cranberry. I need to make a batch of these soon! heyyy, i most definitely ate these, not to worry! That plate is the dinnerware we used every day when I was growing up. I have 2 pieces of it and wish I had the entire set... Memories! Cookies look and sound D-Lish!